Six years after they last took part, Czech republic is coming back to the Eurovision Song Contest 2015 in Vienna. We have prepared an exclusive interview for you with one of the representatives - Marta Jandová! OGAESK: Marta, news about you representing Czech republic have spread across Europe. How do you feel about that? MJ: I am excited and a quite nervous. For example, last night I had a dream that I couldn't find my dress just before we had to go on stage. It is a huge event, the whole Europe watches you. This is no longer a joke. OGAESK: Does your song "Hope Never Dies" have a chance to succeed? Can you tell us something more about the song? MJ: Definitely, otherwise I would not go through with it! It is honest, sang by experienced musicians. That is our strenght, I believe. OGAESK: Was this duet the preferred choice of the Czech broadcaster or did they have to persuade you into it? MJ: They definitely did not have to persuade us. The jury decided to opt for a duet and they chose the two of us. But they did not push us into anything. My condition was that I have to like the song they select, and they accomplished that. I am really glad and excited that we are going to Vienna! OGAESK: You are really popular in Germany. Have you received any reactions to your participation? MJ: Everyone writes to me and sends me articles about my participation in Eurovision. They root for me. One of my friends from Germany who is a chief editor of a lifestyle magazine has offered me a beautiful designer dress. These positive responses are really cute. Germans love Eurovision a lot. 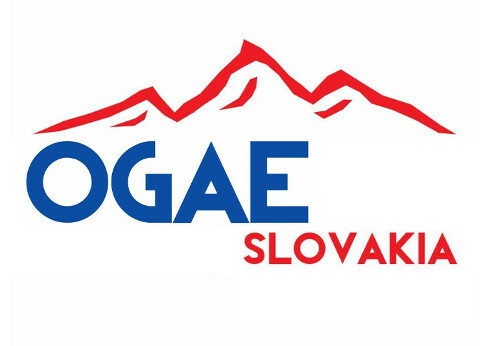 OGAESK: Czech republic is coming back to Eurovision after a long period of not participating. ESC will be in Vienna. A lot of fans from both the Czech republic and Slovakia will attend the 2nd semifinal only for you. Is it going to motivate you to perform as good as you can? MJ: Most definitely! I did not know that so many people were planning to come. We will do everything we can so that we don't dissapoint anyone. Although it really is a bet in a "lottery". Every year something different wins... different genre, different formation. But I have a good feeling about this. OGAESK: Do you have any message for your fans? We would like to thank Marta for her precious time!